Coastal Windows and Siding, Inc. Comment: Water is leaking into the home following a rain. Comment: Replace roof tiles on garage that is a 24 x 24 cape style home. Also install metal tiles on main house roof for ice dam prevention. Comment: I would like to get an estimate for a residential property. I am needing a roofing contractor. 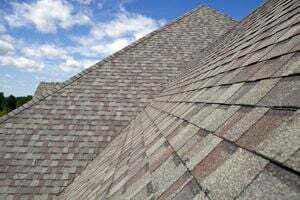 We have wind damages (loose shingles) and need this repaired. The roof is around 6-7 years old. I also need drywall and tile work on the inside of the home. Comment: Brand new roof installed 2 years ago. Leaking in 2 places. Seems to incorrect flashing. Comment: Single story garage/pump house need one side remove old and replace shingles due to shingles blowing off. Comment: I have a section of my roof that is flat and it is leaking badly. Ogunquit Roofing Contractors are rated 4.51 out of 5 based on 342 reviews of 23 pros. Not Looking for Roofing Contractors in Ogunquit, ME?